The United Nations Democracy Fund (UNDEF) was initiated as a result of a partnership between India and the United States and was launched jointly by India's Prime Minister Dr. Manmohan Singh, US President George Bush and UN Secretary General Kofi Annan in New York on September 14, 2005. Presently, India is the second largest contributor to the UNDEF, having contributed USD 31.91 million as on 25 February 2018. India considers the Fund to be an effective instrument for the promotion of democratic values and processes and has played a prominent role in the UNDEF as member of its apex governing body - the Advisory Board. 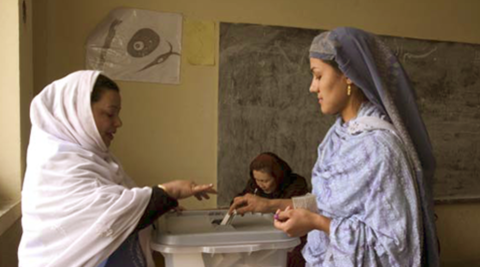 UNDEF presently supports projects that strengthen the voice of civil society, promote human rights, and encourage the participation of all groups in democratic processes. Since its inception, UNDEF has funded more than 500 projects in six main areas - Community development, Rule of law and human rights, Tools for democratization, Women, Youth and Media in more than 110 countries, bringing total disbursement to some USD 186 million.